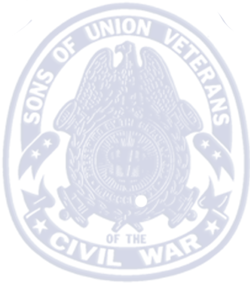 The Sons of Union Veterans of the Civil War (SV/SUV/SUVCW) was established by the Grand Army of the Republic (GAR) to perpetuate the memory of the sacrifices of Union soldiers and sailors during the Civil War. 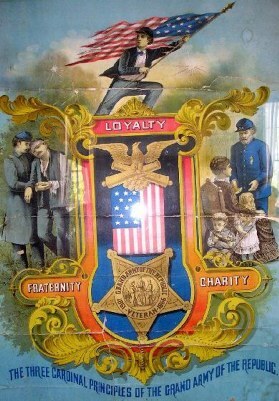 It is a national organization composed of the male direct descendants of Union soldiers and Sailors, although males who are not descendants may join as Associate Members. Designated by the GAR as its successor organization in 1931, and chartered by Congress as a charitable, educational organization in 1954, the SUV continues the patriotic work of the GAR. Each member is sworn to carry on the ideals of patriotism and fraternity laid down by his ancestors. The basic level of organization of the SUV is the camp headed by a Camp Commander. 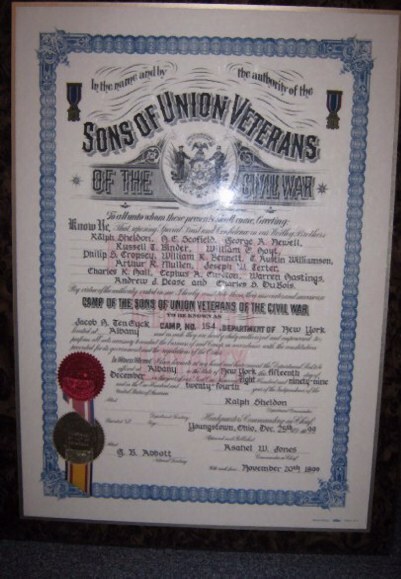 The Local Sons of Civil War Veterans affiliation with the G.A.R. 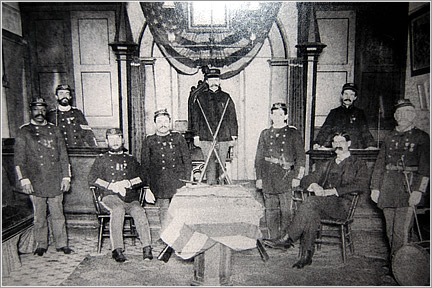 began in Albany, NY with the formation of the Col. Fredrick Townsend Post No. 1 SV in 1878. They were referred to as the Sons of Veterans “S.V.”. 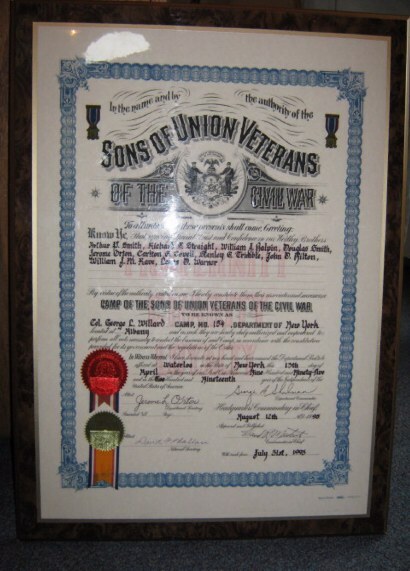 In 1881 a National Sons of Union Veterans was established, followed in 1883 by the formation of the NY Department. 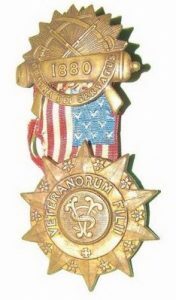 In 1894 the Jacob H. Ten Eyck Camp #154 (Sons of Union Veterans of the Civil War)SUV was Instituted from the Col. Frederick Townsend Post No.1 SV. Following on Christmas Day in 1899 the Ten Eyck Camp was Chartered. The camp number #154 being chosen in memory of the Hard Tack Regiment, the 154th NY Volunteer Infantry in which Jacob H. Ten Eyck briefly served as Major. 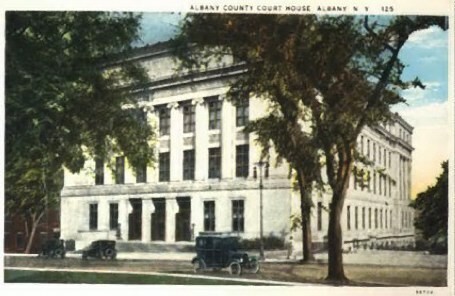 The Camp’s Headquarters were at the GAR Room at the Albany County Courthouse; where the GAR maintained a private Entrance to the Courthouse for use for its members and auxiliaries off Elk Street. 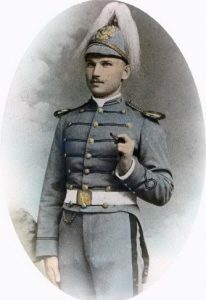 in which Jacob H. Ten Eyck briefly served as Major. Unknown Dated Photo of Jacob H. Ten Eyck Camp No. 154 Membership Circa 1900? 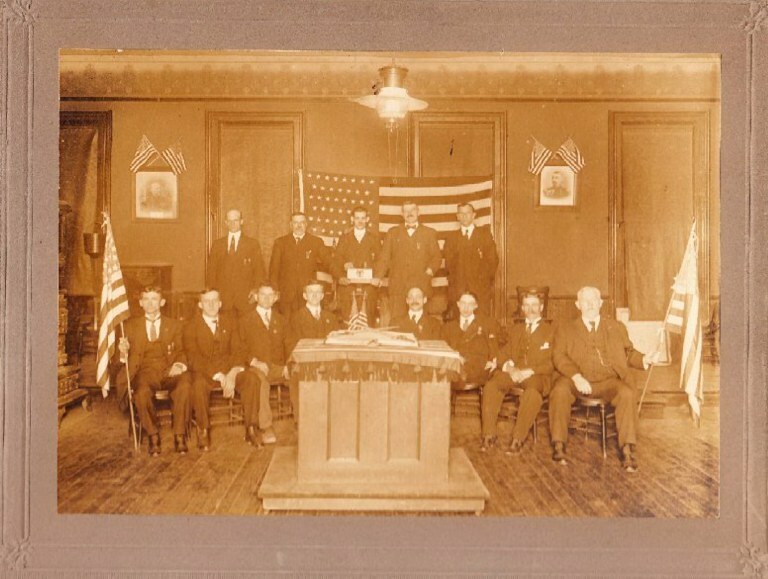 The Camp’s Headquarters were at the GAR Room at the Albany County Courthouse where the GAR maintained a private Entrance to the Courthouse for use for its members and auxiliaries off Elk Street. 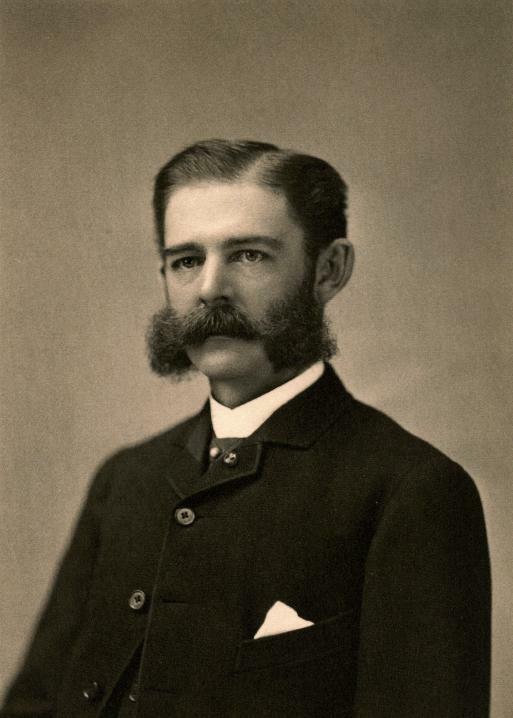 Jacob H. Ten Eyck was born in Albany and attended Albany Academy. He served in 1861 in Co. “G”, of the 3rd NY Vols., was commissioned a captain in the State militia and was mustered into U.S. service. 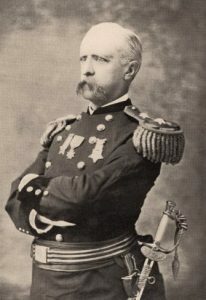 He served nearly two years, being promoted major of the 154th NY Vols., and stationed in Virginia with the 11th Corps. He resigned in 1864 on account of ill health and since the war was a commissary of the 10th NY. He was a leader in the community and in the Masonic. Andrew J. Pease, and Charles D. DuBois. 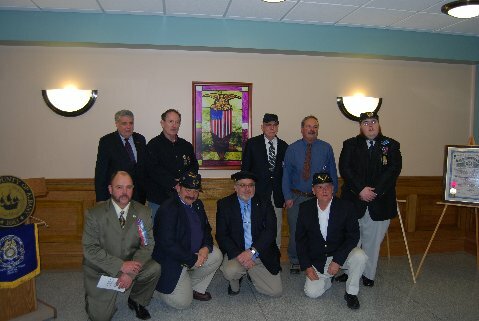 Brothers (L to R): Richard Straight, SVC, William Halpin, CC, Lew Warner, Douglas E. Smith, PCC, Sec/Treas. It was in 1994 the Camp Officially Changed the Name of the Camp. In 1993 the camp voted to change its name to the Colonel George L. Willard Camp #154.Willard being considered a local hero, who gave his life in the performance of his duty at Gettysburg at the head of his regiment to the Union and deserving of present day recognition. 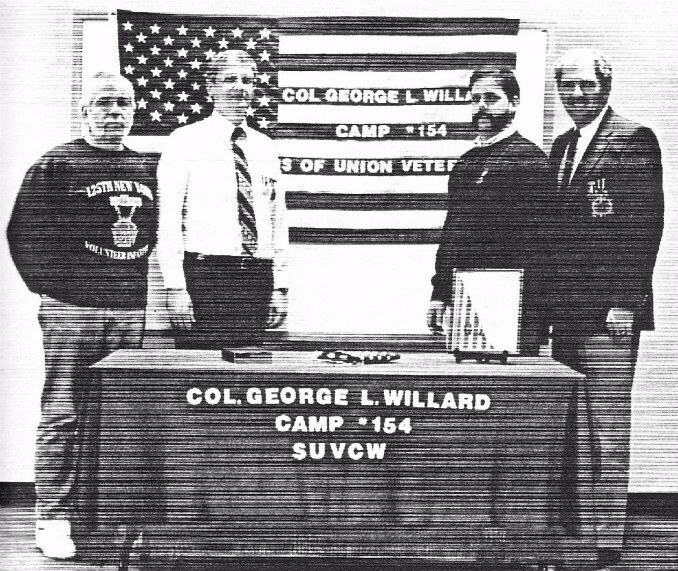 Col. Willard was honored with a Troy G.A.R Post in his Namesake; the G.L. Willard Post No.34 of Troy. The G.L. Willard Post of Troy was vital in erecting the Troy Monument. From Left to Right–Bro. Danny Wheeler,PCC, PDC, PCinC, DC Doug Smith, PDC, PCC and PCinC Lowell Hammer. In 1993 the SUVCW had a day long event in Albany to mark the 125th Anniversary of the GAR in NYS. The Camp visited Albany’s Washington Park and held a ceremony at the NYS CW memorial that Late Bro. Art Smith’s Grandfather Oscar Smith dedicated. 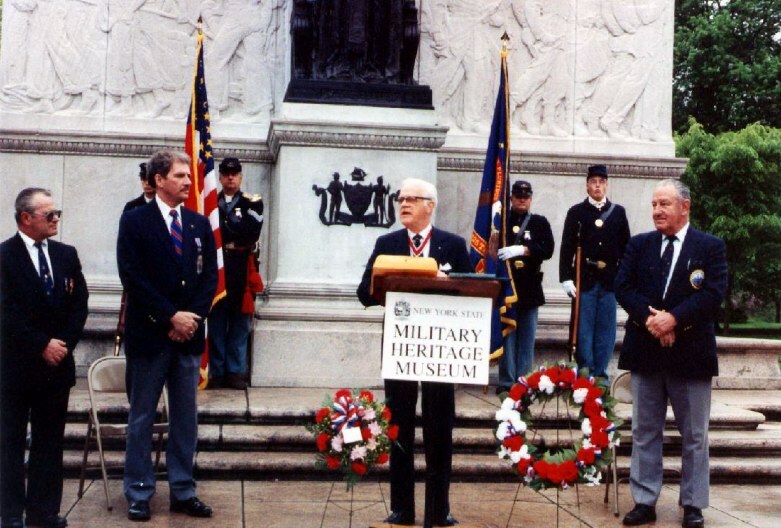 On Memorial Day 2001; The Camp Completed its Restoration Project of the GAR Monument at the GAR Lot at the Albany Rural Cemetery. Locally the Camp performs such civic functions as Restoring Civil War Monuments, Monitoring Cemeteries concerning the condition of Civil War Veterans Graves, and other patriotic works including annual Memorial Day Ceremonies. In 2010, the Willard Camp re-established its presence in the Albany County Courthouse. The Camp continues to meet in Albany to this Day and continues to serve the Capital District through living histories, memorial services, parades and educational displays in keeping green the memories of our forefathers the veterans of 1861-65.